Mom was special to me, we were best friends! Our bike rides were great. Going to lunch for Mother’s Day, all was great! 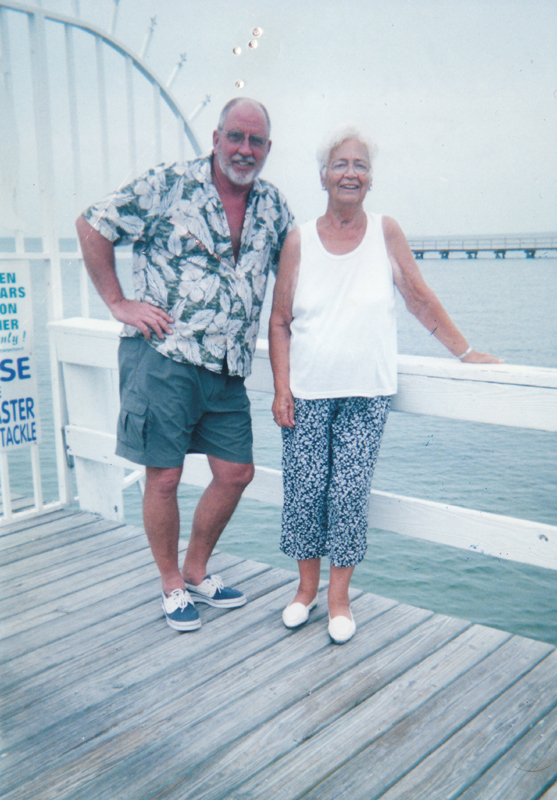 Jim would often stop at stands and get green beans to bring to mom; she loved to fix them for dinner. 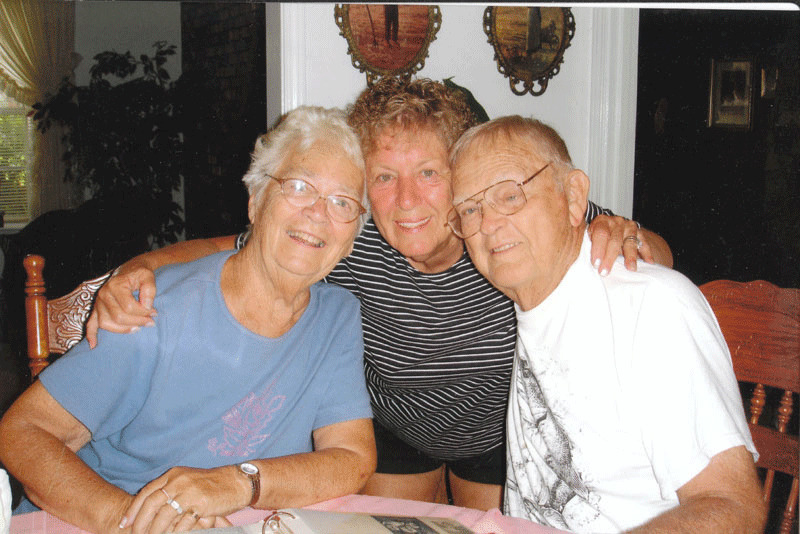 Jim would take some beans when mom was cleaning them; she always had a big smile when he would take a hand full and a big laugh. 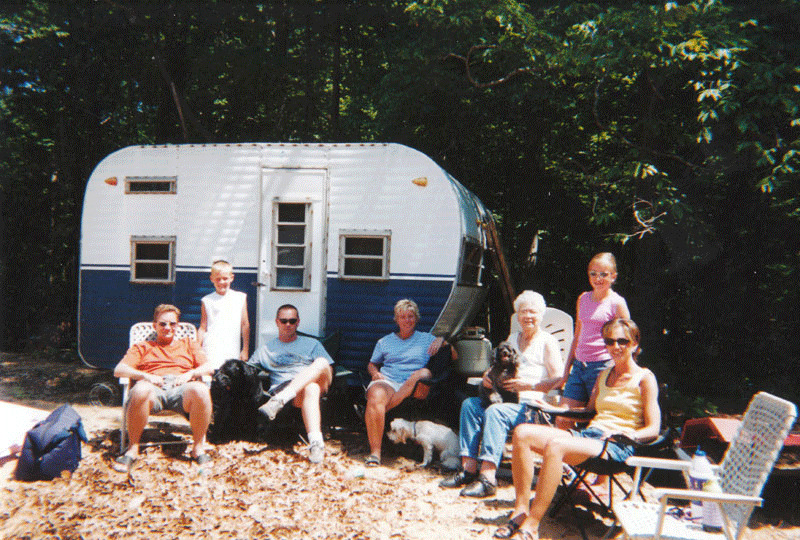 Some memories that come to mind are picking blueberries and apple pies that mom and I would bake! Boat rides; mom always liked going for rides on the river. Dancing at the Grange Hall, I can close my eyes and see mom and dad dancing they loved to dance! To mom – I will always have a smile in my heart forever, I will love her forever! 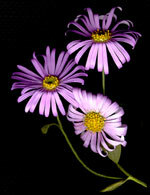 When I was growing up we would go square dancing, snow mobiling, play card games and spend lots of time in the kitchen. As I got older and married Mark, we would go up north a few times a year to let the guys go hunting or fishing and us girls would go shopping and play a lot of card games! Favorite memories of pie making; cooning apples early in the morning then to come home and learn how to bake pies. Snow mobiling when Grandma and Grandpa would tip over and just lay there and laugh! I always loved being with Grandma, I learned a lot from her!! You will be missed tons and I will always hold you close in my heart! When we were young we would always go apple picking and make our own cute little pies with Grandma Hill, those were the best pies ever! 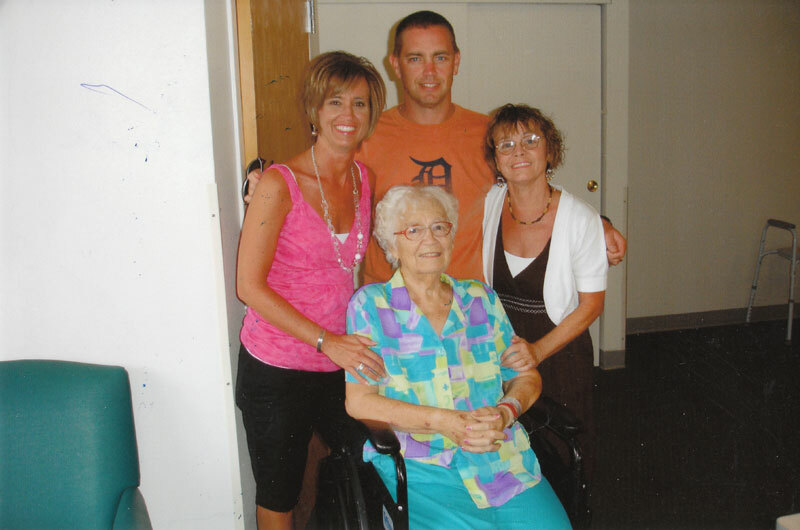 When Grandma, Grandpa and Grandma Hill would come from Florida to visit, the girls would always give Grandma Hill a manicure at the kitchen table, she just loved that! 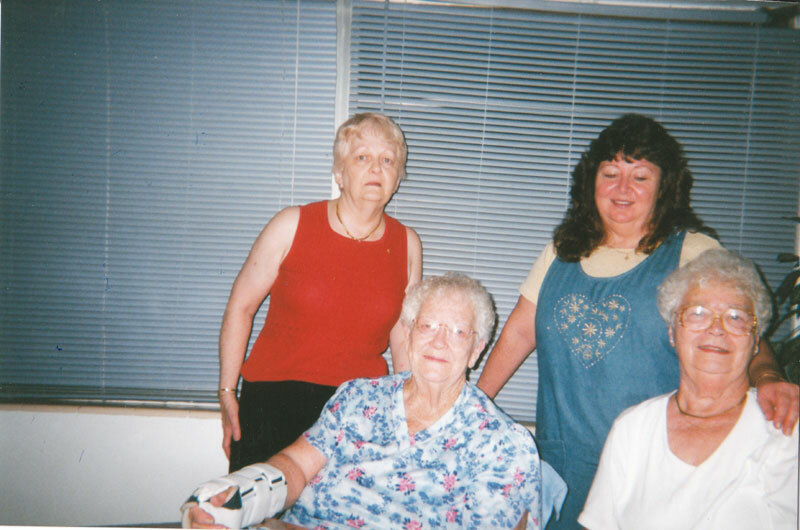 Every time they would all come to visit we would have our nightly game of UNO full of Grandma Hill’s famous “winning” dance, fun and laughing so hard our eyes would water!! Our mind will be filled with everlasting memories of Grandma Hill! She was such a good person and we enjoyed to be around her! We will always miss you, we love you Grandma Hill! Every year as far back as I can remember,we headed to Neson City near Thompsonville. The mission was not only to deer hunt, but to have Grandmas famous eggs. You see, my grandma would beat us all out of bed to make sure we were all feed well before our long day in the woods. Deer season and Grandma's eggs are forever remembered. Not a November that goes by that I will not think of this. Each winter brought our families together again. Fresh snow in Thompsonville meant snowmobiling at grandma and grandpas house. We would spend the better part of most winters chasing Grandma on her ski-doo. Once again off to the north, Trout season in T-ville. The guys would spend hours to catch as many Brook Trout as our licenses would allow. After the catch we would come home with our fish, watch grandma clean them and proceed to cook them to perfection. As you can guess my grandma was the best cook I have ever known, Family reunions were just another time for her to prove this, not only to me but the rest of the family. It wasn't just one thing either it was fried chicken, apple pies, blueberry pies, and cake. The best of the best would come from her kitchen. As I read what I have wrote I can only think of how great of a person Grandmother was. I have learned countless things from her about life, family, and just how to be a good person. 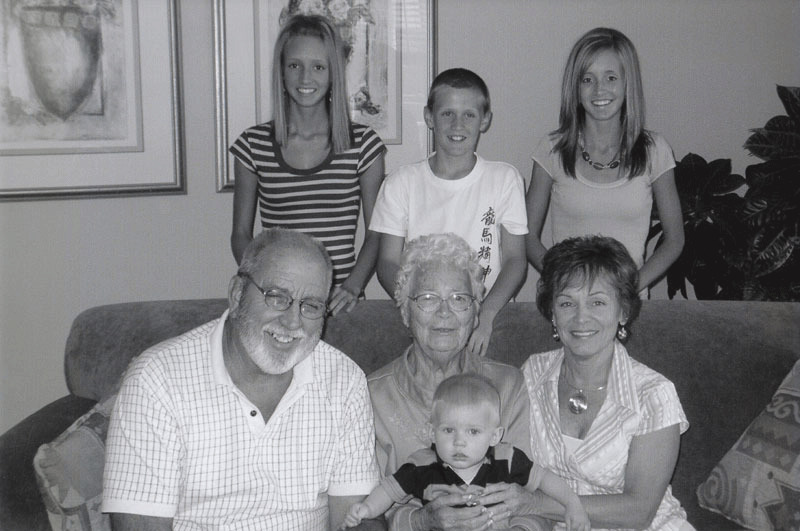 Grandma you will be forever missed, I will always Love you. 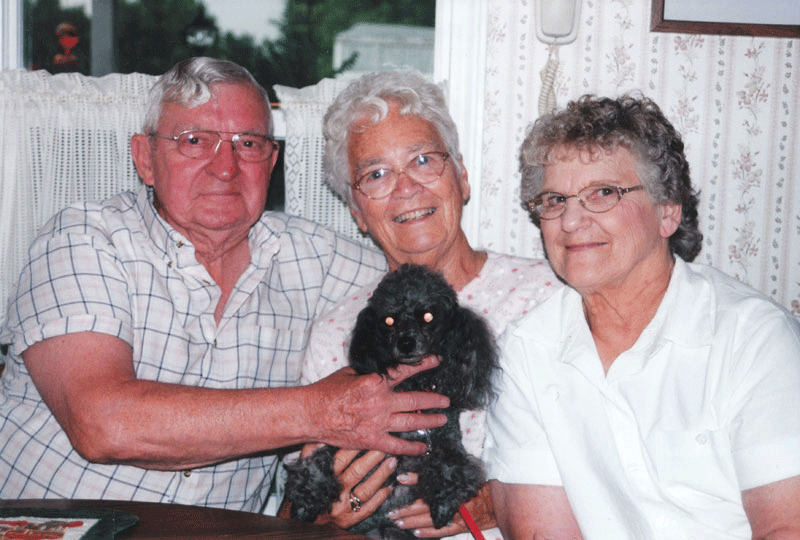 George, Natalie, Helen and dog Sam, 2005. Great Grandkids, Helen, Jim, and Linda. 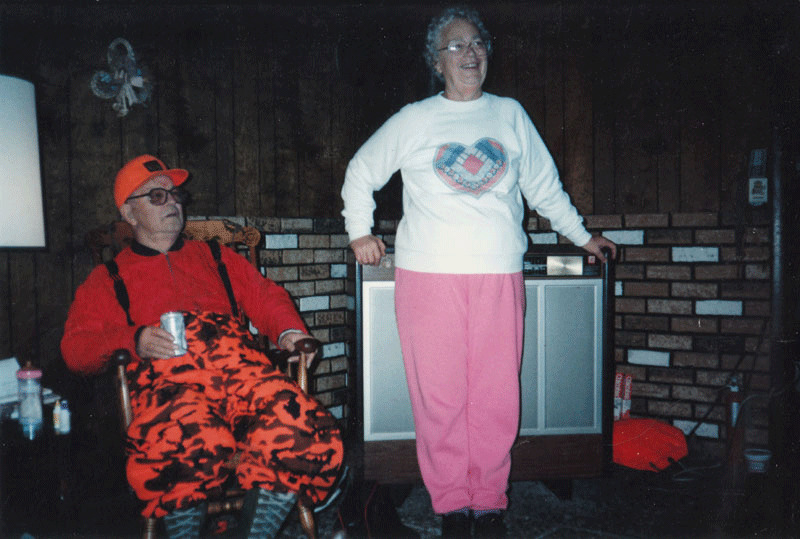 Helen and George, Deer Season 1991. 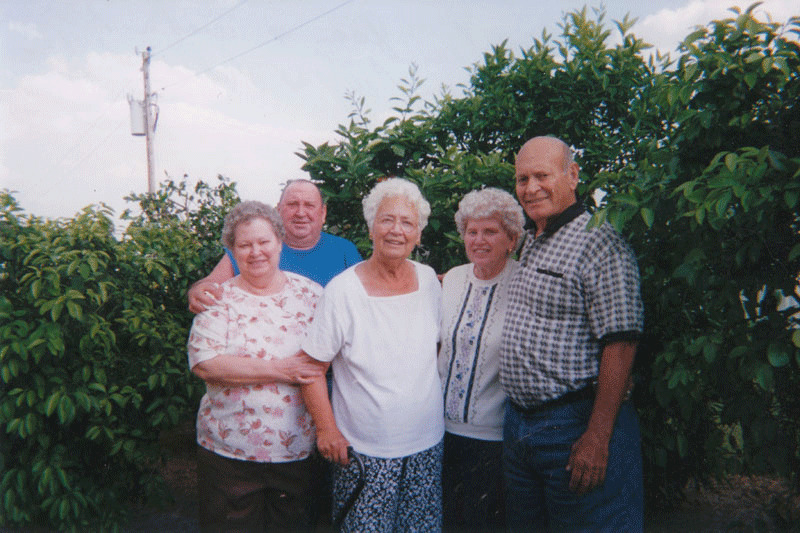 Helen, Betty, Don, Joe, and Norma, 2004. 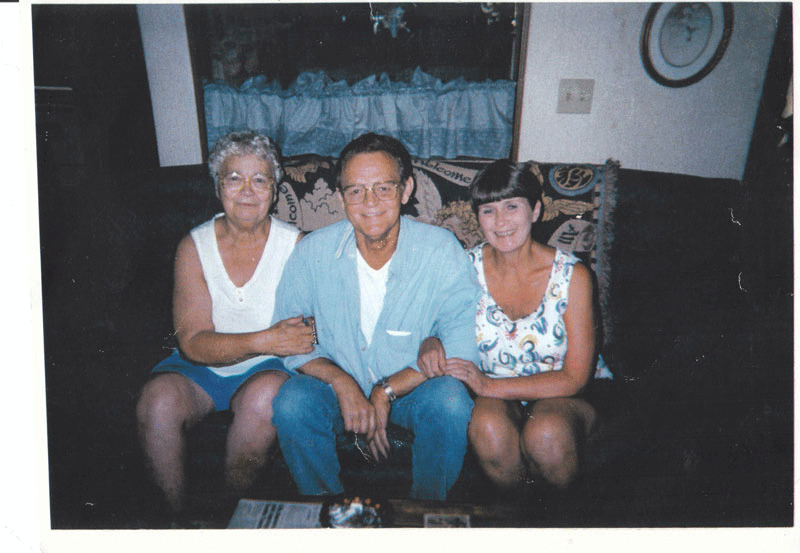 Helen, George, and Dawn, 2000. Jim and Helen, favorite restaurant. 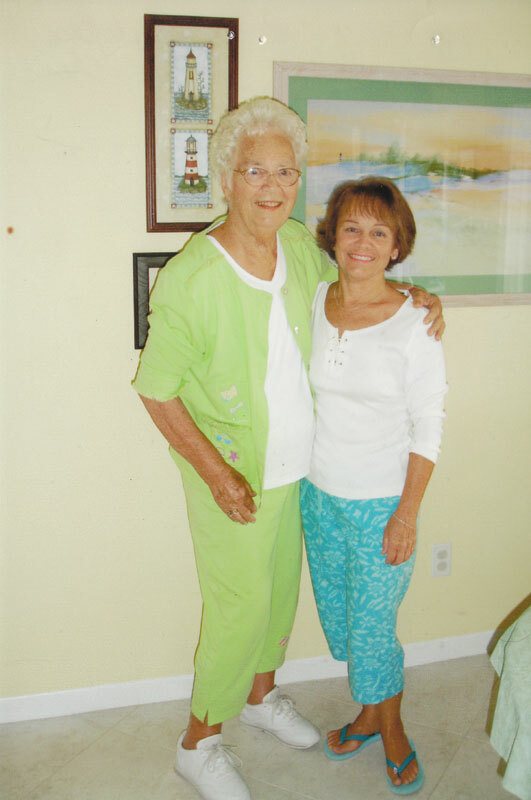 Mother and daughter, Helen and Linda, 2006. Robin, Jimbo, Helen, Linda, 2008, Nursing Home. Sandy, Kathy, Arlene, and Helen. 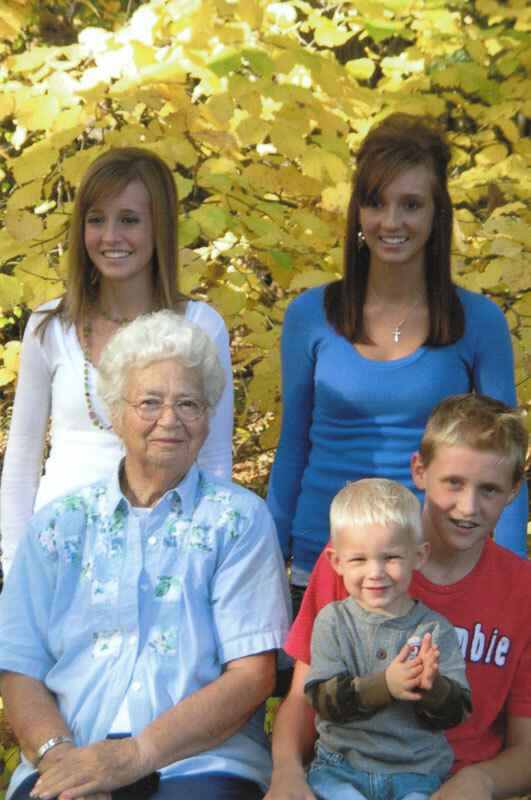 Four Great Grandkids and Helen, 2007.